This article by Professor John Healey, describes the key role in the development of Muslim science which was played by the Syriac-speaking Christians in the early Islamic era. John Healey is Professor of Semitic Studies and acts as Head of Middle Eastern Studies at the School of Languages, Literatures and Cultures in Manchester University. Figure 1. Prof. J. Healey during his speech at 1001 Inventions Conference. The article is originally a talk presented at the international conference 1001 Inventions: Discover the Muslim Heritage in our World held at the Museum of Science and Industry in Manchester on the 8th of March 2006, on the occasion of the launch of the exhibition 1001 inventions. The conference proceedings are edited by Dr. Salim Ayduz and Dr. Saleema Kauser. The "1001 Inventions" exhibition at the Manchester Museum of Science and Industry celebrates the contribution to science made by Muslim scientists during a period when the Christian West was going through a so-called "Dark Age". In this context it is useful to recall the key role in the development of Muslim science which was played by the Syriac-speaking Christians and others in the early Islamic era. It would be wrong to say or imply that these Christians somehow deserve the credit for the achievements of the Muslim scientists, but they did have a key role in the transmission of Greek science to Muslim scholarship. And even if there was a Dark Age among Christians in the West in the eighth and ninth centuries CE, there was no such Dark Age among Christians in the Middle East. But let us go back to the beginning. Who were these Syriac-speaking Christians? Popular awareness of the Christian Church has long seen everything in European terms. This perspective treats the Latin Church (what is now called the Roman Catholic Church, and its offshoots at the time of the Protestant Reformation) as the main part of the Christian Church, which in the past had distant and insignificant relations in the Middle East. The importance of the Greek Orthodox Church is usually acknowledged, but the other numerically smaller churches of the Middle East are largely ignored. Figure 2. 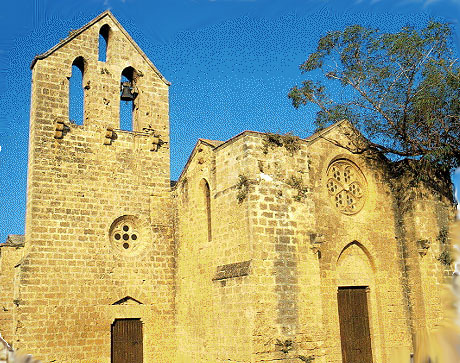 The Nestorian Church of St George the Exiler, North Cyprus (Source). This is a false historical perspective. The Middle Eastern Christians, though they ended up divided into a number of distinct groups, constituted in the immediately pre-Islamic period the majority of the populations of Syria, Palestine and Iraq, with substantial numbers also in Iran, Arabia and the Gulf, as well as India and China. These churches came into existence in the first Christian centuries and were equal participants in the great doctrinal discussions which took place in the Christian world in the fourth and fifth centuries. The majority of these Christians (those outside Egypt) read their Bible and conducted their worship of God in the language called Syriac, which is a dialect of Aramaic (which itself goes back to the second millennium BCE). Of the various Syriac-speaking Christians, in Iraq and Iran the most important group were the members of what is now normally called the Church of the East, though it has traditionally been called, somewhat inaccurately, "the Nestorian Church" (see in general Baum and Winkler 2003; Holmberg 1993). (The term "Nestorian" is retained as a short-hand, but it should be remembered that it is not satisfactory.) It had gradually become independent of the Church of Constantinople in the fifth and sixth centuries (partly because it was not under Byzantine rule, but under the rule of Sasanian Iran). In terms of intellectual and cultural history, the Syriac-speaking Christians were in a very interesting and important position. Their Christianity was very much a Middle Eastern religion, not a western or European religion. They read their Bible and celebrated their Eucharist in Syriac, a dialect of the long-established Middle Eastern language, Aramaic. They also developed their own theological approaches to doctrinal and other issues, which did not entirely coincide with the approaches of the Byzantine and Roman churches. Although Syriac was the language of their Bible and even from the late second century the language of theological and philosophical discourse, this theological and philosophical discourse inevitably involved an engagement with the philosophical and religious traditions of the Greek-speaking Byzantine world. So the Middle East Christians came to be at home in two cultures, their own, native and very ancient culture (with its roots in ancient Mesopotamia and the world of the Bible) on the one hand and on the other hand that of the intellectual tradition of the Greeks. Many of the finest scholars in this Middle East Christian tradition were accustomed to reading texts in Greek, sometimes translating them into Syriac for local Church purposes. Thus for example Eusebius' Church History was translated into Syriac (4th/5th centuries), St Basil of Caesarea (5th century), Theodore of Mopsuestia (5th century) and Nestorius (6th century) (list in Brock 1997:120-23). But the Greek intellectual tradition which they engaged with included not only religious texts, but also philosophical, mathematical, astronomical, pharmacological and medicinal literatures. For example, Sergius of Reshayna, who died in 536, had been trained in medicine in Alexandria and completed translations of medical works of Galen and other translations. He was a Syrian Orthodox Christian (a so-called Jacobite), but worked in cooperation with Nestorians and his translations penetrated the Persian Empire (Peters 1973: 376-77). Figure 3. The entrance gate of Aleppo Citadel, Syria (© Murat Özyildirim). When the Islamic caliphate came into existence, these local Christians proved to be an invaluable resource to the new rulers. When the Abbasid caliphate was established in Baghdad, the patriarchs or heads of the Nestorian Church transferred their residence there (Holmberg 1993: 1031) and Nestorian doctors, for example, were available with the best medical knowledge of the age, nurtured in the great Nestorian school at Jundishapur. They were also involved in other branches of science and in philosophy. But one particular aspect of the Nestorian contribution was the role that Nestorians played in the translation of Greek scientific works into Arabic. There is one person above all, who embodies this Nestorian Christian involvement in the transmission through translation of Greek science. This is Hunayn ibn Ishaq (809-73), who with his family and associates did more than anyone else in this field. Hunayn was the son of a Nestorian pharmacist in Al-Antrah in southern Iraq. He must have been brought up speaking Arabic, but using Syriac for educational purposes and in church. He studied medicine in Jundishapur and Baghdad, and improved his Arabic by studying Arabic grammar in Basra. He also spent two years in Anatolia (or Alexandria) learning Greek and collecting manuscripts. He then returned to Iraq and in 857 he was appointed personal physician to the Caliph al-Mutawakkil (847-61). There are accounts of the difficulties he experienced while holding this post, arising largely from the jealousy of his Christian rivals. A remarkable product of Hunayn's pen is his Risâlah, a text in letter-form addressed to Ali ibn Yahyâ, a member of a prominent Zoroastrian family in Baghdad, which lists the translations of Galen, the pillar of the Greek medical tradition, which Hunayn and his associates made and it gives details about manuscripts and the procedures employed. It records that with his son Ishaq (who died in 910) and his nephew Hubaysh, he translated almost 130 medical treatises from Greek into Syriac and from Syriac into Arabic. He also revised older translations. The particular Greek author covered in the Risalah is Galen, but we know Hunayn's translations also included Hippocrates, Rufus of Ephesus, Oribasius, Dioscorides and Paul of Aegina. Hunayn conducted a kind of cottage industry in translation, with Christian and Muslim patrons commissioning translations into Syriac and Arabic. The family translation business was not, however, limited to medical texts. Hunayn's son translated mathematical and geometrical works of Euclid and other translators of this age translated many other scientific works. The medical historian Withington (1894: 141) described Hunayn very aptly as "one of the greatest men of the ninth century, the Erasmus of the Arabic Renaissance", and echoes of the European Renaissance are strong. Here it is important not to forget the pagans as well as the Christians, since alongside the Nestorian Christians there were also Harranian pagans like Thabit ibn Qurra (c. 836-901) who were involved in the transmission of Greek learning to the Arabic-speaking environment. 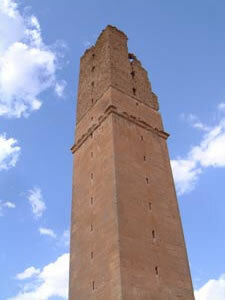 The Harranians were especially expert in astronomy and mathematics. Much detail on them is provided by Ibn al-Nadîm's Fihrist and their work led ultimately to the translation of Ptolemy's Almajest under the Caliph al-Ma'mun (813-33). Among other works Thâbit himself translated Archimedes and Nicomachus's Introduction to Arithmetic. He became Abbasid astronomer royal, and according to the Syriac chronicler Bar Hebraeus, he wrote 150 books in Arabic and about 16 in Syriac, including works on astrology and Harranian religion. It behoves all monotheists to acknowledge their debt to the pagans. In arguing for the importance of the Christian and Harranian contribution should not obscure the fact it was the Muslim scientists of the early Abbasid period who led the way in their almost insatiable demand for such translations. Without the demand from these patrons and customers, there would never have developed the industry of translation which did develop (Gutas 1998: 121-50). So nothing in the above should detract from the leading role played by the Abbasid court. Returning finally to what was said at the beginning of this essay, it is clear that the Middle Eastern Christians, far from living in a Dark Age into which Islam shone the only scientific light, in fact belonged to a vibrant intellectual culture which made its own very distinctive contribution to the advancement and achievements of Muslim science. Thus in contrasting what was going on in the Middle East with what was going on in Europe at this time, the contrast is not simply attributable to a difference of religion. The Middle Eastern Christians were not undergoing the Western Dark Age, but were part of the Middle Eastern Renaissance. Black and white contrasts in history rarely do justice to the realities, and there is no such contrast between Christianity and Islam in the context of Abbasid scientific endeavour. Baum, W. and D. W. Winkler 2003. The Church of the East: a concise history, London. Bergsträsser, G. 1913. Hunain ibn Ishaq und seine Schule, Leiden. Bergsträsser, G. 1925. Hunain ibn Ishaq über die syrischen und arabischen Galen-Übersteztungen (Abhandlungen für die Kunde des Morgenländes XVII, 2), Leipzig. Bergsträsser, G. 1932. Neue Materialen zu hunain ibn Ishaq's Galen-Bibliographie (Abhandlungen für die Kunde des Morgenländes XIX, 2), Leipzig. Brock, S. 1997. A Brief Outline of Syriac Literature (Kottayam: St. Ephrem Ecumenical Research Institute, 1997). Budge, E. A. W. 1932. The Chronography of Gregory Abû'l Faraj Bar Hebraeus (2 vols. ), Oxford (reprinted 2003, Piscataway, NJ). Gutas, D. 1998. Greek Thought, Arabic Culture: the Graeco-Arabic Translation Movement in Baghdad and Early Abbasid society (2nd-4th/8th-10th centuries), London. O'Leary, de L. 1949. How Greek Science Passed to the Arabs, London. Holmberg, B. 1993. "Nastûriyyun", EI2 VIII, 1030-33. Peters, F. E. 1973. Allah's Commonwealth: a history of Islam in the Near East 600-1100 A.D., New York. Strohmaier, G. 1971. "Hunayn b. Ishak al-Ibâdî", EI2 III, 578-81. Withington, E. T. 1894. Medical History from the Earliest Times: a popular history of the healing art, London. 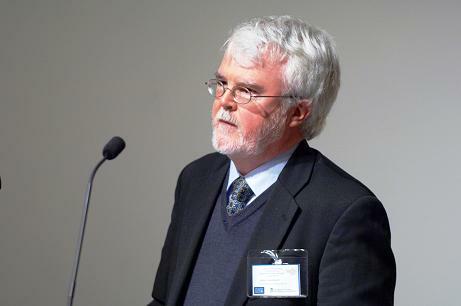 John F. Healey is a Professor at Middle Eastern Studies, University of Manchester.